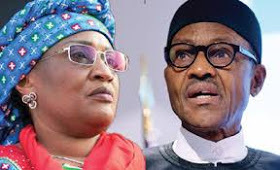 President Muhammadu Buhari has accepted the resignation of Minister of Women Affairs Aisha Alhassan, widely known as Mama Taraba. Alhassan submitted his resignation on Saturday after his exclusion from the State Taraba government struggle by the All Progressives Congress. Regarding Twitter, the @NGR president said "President @MBuhari has accepted the resignation of Senator Aisha Jummai Alhassan as Minister of Women and Social Development with immediate effect. "In a memorandum signed today, PMB said:" I received your letter with your resignation as a Fed minister. Vice-President of Nigeria. We accept your resignation with immediate effect. On behalf of the governor and the people of Nigeria, thank you for your previous service to the nation. "The President has led the work of the Ministry of Women and Social Development to take care of Hajiya Aisha Abubakar, the Minister of Foreign Affairs, Industry, Trade and Investment.